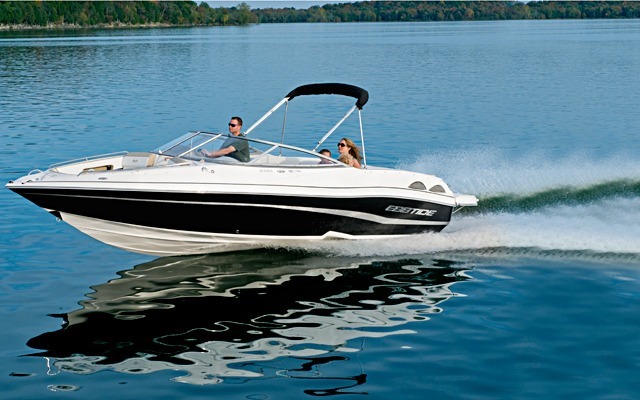 Enjoying a day on the water is as easy as renting a boat. Select a boat you would like to rent for the morning, afternoon or a full day. Multi-day rentals are also available, call the marina at 704-528-3328 for details. All boats have life adult and child life jackets and safety equipment. Make sure to watch the safety videos before you captain a boat or jet ski. Comfortably seats 8. The Colbalt is perfect for pulling tubes, skiers, and wake boards around Lake Norman. Includes: a bimni top for shade, auxiliary port and radio for music, swim ladder, depth finder, suitable for pulling tubes or skiers. All vessels include life jackets and safety equipment. Comfortably seats up to 8. 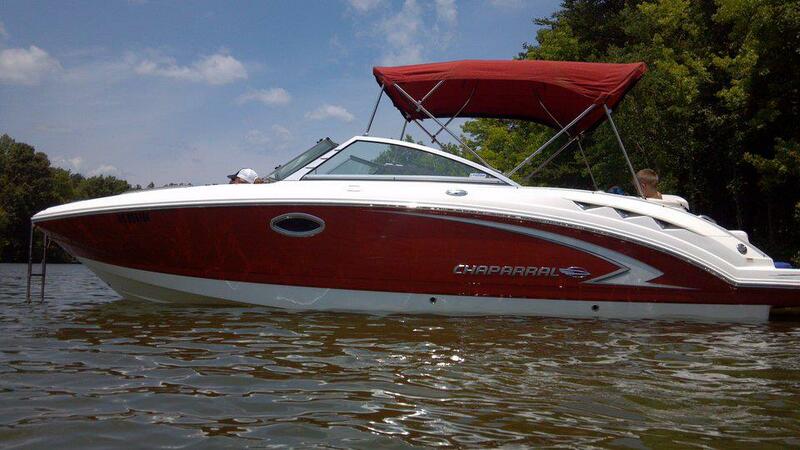 The Chaparral Sunesta is perfect for pulling tubes, skiers, and wake boards around Lake Norman. Includes: Volvo engine, Bimini top for shade, swim ladder, depth finder, suitable for pulling tubes or skiers. All vessels include life jackets and safety equipment. Includes: 5 liter V-8 inboard engine, Bimini top for shade, swim ladder, depth finder, suitable for pulling tubes or skiers. All vessels include life jackets and safety equipment. Comfortably seats up to 8. 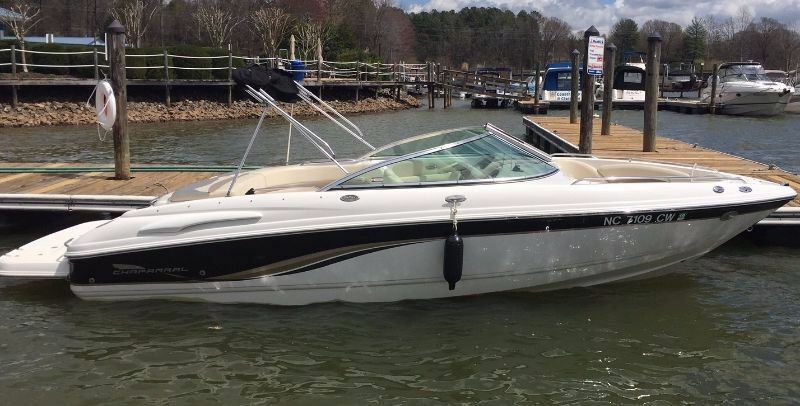 The Sea Ray ski boat is perfect for pulling tubes, skiers, and wake boards around Lake Norman. 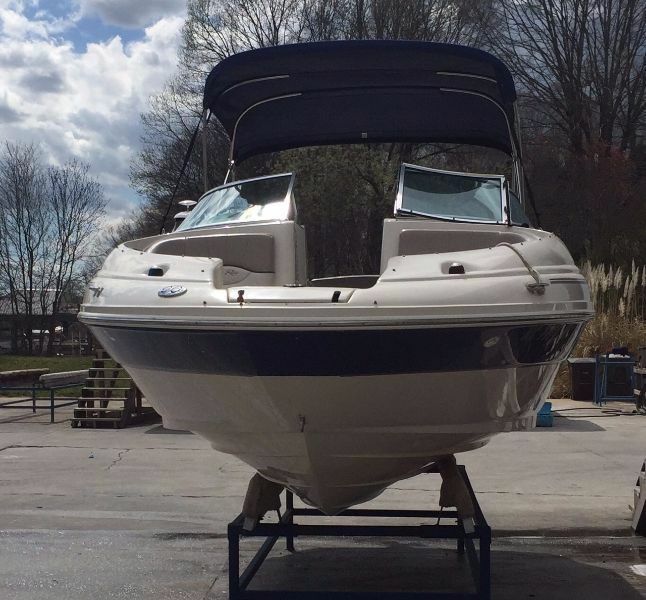 Includes:300 horse power with a 5.7 liter V-8 inboard engine, Bimini top for shade and swim ladder, depth finder, suitable for pulling tubes or skiers. All vessels include life jackets and safety equipment. Comfortably seats 8. 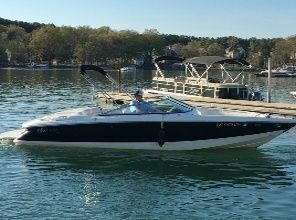 Cruise Lake Norman with family and friends on the Ebtide 215 SE. Includes: 115 Yamaha 4 stroke engine, bimini top for shade, auxiliary port/USB and radio for music, swim ladder, suitable for pulling tubes. All vessels include life jackets and safety equipment. Comfortably seats up to 8. 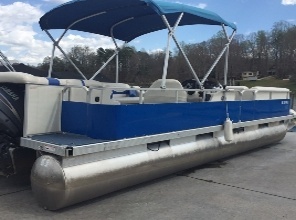 Cruise on Lake Norman or pull tubes with the Bennington Pontoon Boat. Includes: 150 Yamaha 4 stroke engine, Bimini top for shade, swim ladder, suitable for pulling tubes. All vessels include life jackets and safety equipment. © 2019 Morningstar Marinas. All Rights Reserved.